"Audiences find it difficult to stand still during a LowDown Brass Band concert." 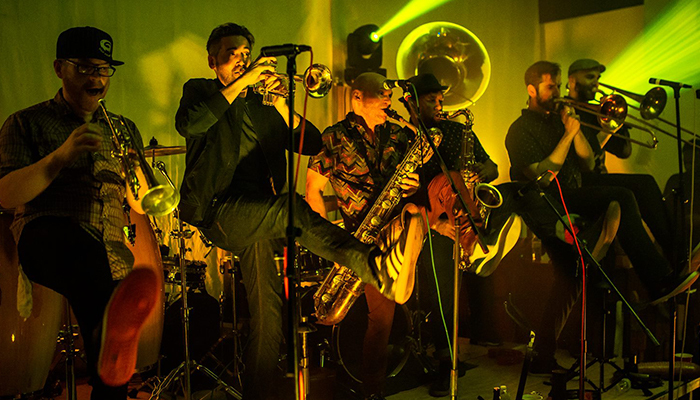 LowDown Brass Band is a horn-driven ensemble with a fierce sousaphone that sets the foundation for trumpets, trombones, and saxophones. While taking a page from the jazz and blues giants of the past, LDB melds modern funk, hip-hop, reggae and pop into a unique style. Always a party, LowDown forges new ground with original compositions that create a high-energy deluge of danceability!